All official driving tests to gain a category on your GB driving licence are run by the Driving & Vehicle Standards Agency (DVSA). They have set test centres around the UK and different types of examiner for different types of vehicle. To try and ensure that all tests are run the same the DVSA use set routes around the town and they will include dual carriageways as well as faster roads. They are also geared up for to perform the manoeuvres at certain points. Some practice before the test is always a good idea as going into a test without driving will not help settle the nerves. Presuming you’ve had some practice most instructors will get you to the test centre 15/20 minutes before hand 1) to make sure you’re not late and 2) so you can go over the show/tell questions, we’ll cover these later. Most test centres will have a car park and it is always best practice to reverse into the bay so you can easily drive out during the nervous first couple of minutes plus the examiners like to see it. The chances are that you will not be the only person taking a test so expect a few examiners to come out at the same time and they will be out prompt, to the minute. As soon as they come out they will call out your name introduce themselves and ask you to sign a form which states that you are who you say you are and that the vehicle is insured for the test. At the same time they will want to see both parts of your provisional licence. 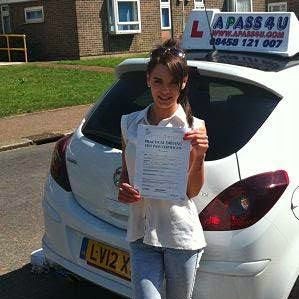 After completing the form they will ask you to lead your way out to the car and ask you if you would like your driving instructor or accompanying driver to come with you. When outside the examiner will ask you to do a field eye test which is reading a number plate from 20.5 metres away (approx.). If you do wear glasses or contact lenses you must wear them as if you fail the eyesight check you will not be allowed to go any further with your test. Presuming your eyesight is OK it’s into what’s known as the Show/Tell questions. These are a series of 19 questions where you will be asked to either show me how or tell me how? For a full list of questions take a look at this page. Once you have answered the safety check questions the examiner will do a quick walk round check and if there are any problems with the car e.g. lights, mirrors or tyres the examiner will refuse to take you out on the test. When generally driving you should be given directions in plenty of time to complete you MSM routines but if you don’t hear what they are asking you to do you can ask them to repeat the directions. 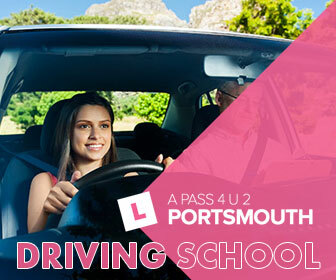 Remember that you cannot fail a driving test for going the wrong way, as long as you do it correctly and safely. Whilst driving you will be asked to pull over a few times and then pull away when ready. What they are looking for here is observations and control as well as reacting to other road users. If another road user is coming then decide whether you can pull away safely before going. If by chance you make another vehicle Stop, Swerve or Swear you may get a serious mark and fail the test, so watch out for the 3 S’s. In the last few years the DVSA have introduced what’s known as the “Independent Drive”. This is a 10 minute slot in which the examiner will ask you to follow road signs and markings to a certain destination or will give you a series of directions to follow e.g. “Follow the road ahead at the junction and then take the next road on the right, then take the next road on the left”. Don’t worry because if you forget the directions you can ask the examiner to repeat them during the drive and for people with dyslexia they do have a drawing of the route they want you to follow. Don’t panic this is easier than it sounds. At some point on the drive you may be asked to pull away on a hill and may be stopped fairly close to a parked car for an angled start. Take your time and if necessary use the handbrake. When you get back to the test centre if you haven’t performed a manoeuvre you will be asked to reverse park into a bay. Nerve racking possibly but very doable as long as you take your time. At the end of the test you will told whether you have passed or failed. Marking system – During a test you can get 3 types of marks Minor Driver Faults, Serious Driver Faults and Dangerous Driver Faults. You are allowed a maximum of 15 Minor faults as long as they you do not exceed the number for an individual subject e.g. 2 minor faults on moving away safely is ok, 3 gets converted to a serious and a fail. It depends on which subject you get the minor faults for as to whether when it gets converted to a serious. If you get 1 of the other marks, Serious and Dangerous, you will get a fail but you may also get what’s known as a walk back if you get more than one Dangerous mark. In saying this many examiners don’t like walking back so may talk you back. Examiners will not drive the car under any circumstances. If you make a mistake keep going as if you hadn’t because you may have only got a minor for the fault and so on track to pass. Nerves are good but only if you are in control. If you feel you are losing it during a drive ask the examiner if you can stop. They will always say "yes" as it’s your driving not your ability to control nerves they are interested in. It also shows you have a good attitude to driving. A good driving instructor wouldn’t let you go for test if you were not capable of passing. Don’t try to read the marking sheet. You can’t change it so why worry about it. Concentrate on driving and get a good result. Cheers for now and Safe Driving.